Are you jumping from diet to diet and nothing seems to work? Are you sick of seeing contradictory health advice from experts? Just like the tobacco industry lied to us about the dangers of cigarettes, the same untruths, cover-ups, and deceptive practices are occurring in the food industry. Vani Hari, aka The Food Babe, blows the lid off of the lies we’ve been fed about the food we eat—lies about its nutrient value, effects on our health, label information, and even the very science we base our food choices on. 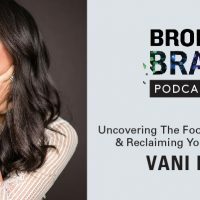 On today’s Broken Brain Podcast, our host, Dhru, talks to Vani Hari, a food activist, New York Times best-selling author of The Food Babe Way, and co-founder of Truvani. Through corporate activism, petitions, and social media campaigns, Hari and her Food Babe Army have become one of the most powerful populist forces in the health and food industries. In this podcast, we talk about the deception by the food industry, scientists, and the media designed to manipulate us, suppress the truth, and ignore the unnecessary harm in our food supply. 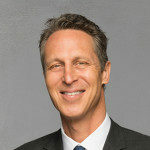 We also talk about action steps we can take now to be our own food advocate, and three simple questions we can ask ourselves before every meal to transform our health. PS – For more on Vani Hari, be sure to follow her on Instagram @thefoodbabe and @foodbabemama, and on Facebook @thefoodbabe. Check out her website https://foodbabe.com. You can also find her new book Feeding You Lies: How to Unravel the Food Industry’s Playbook and Reclaim Your Health, right here.